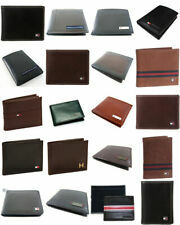 36 ASSORTED WALLETS CALVIN KLEIN, TOMMY HILFIGER, TIMBERLAND. TRIFOLD AND BIFOLD ASSORTED WALLETS. Tommy Bahama slim fold wallet. 4 1/2" x 3 1/2". 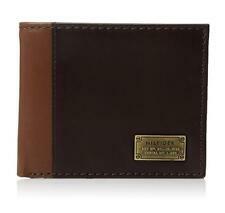 Tommy Hilfiger Men's genuine leather wallet. Trendy multicolor design. Multiple credit card pockets. Removable leather framed ID window pass. Comes with a gift box. Cash compartment. 100% Authentic guaranteed. This is a Tommy Bahama Woven Leather ID Holder Wallet. Find Special Buy 2 Get 1 Sales.